A group of us here at Mackin were fortunate enough to spend an evening with Sarah Dessen, eating pizza, sucking on dum dums, and discussing her latest book Saint Anything. It was intriguing to hear Sarah’s process for writing this book as well as learn how some of her personal narrative factored into the storyline. Basically this is a coming-of-age story with a side of romance, but its cast of well developed characters and multilayered friend and family relationships make it a compelling read. Sydney has a well-to-do charmed life. She attends one of the best private schools and is the younger sister of charismatic Peyton. But life heads in a dramatically different direction after Peyton’s increasingly risky behavior lands him in jail. Sydney doesn’t get why her parents, particularly her mother, seem obsessed at trying to make things easier for Peyton when he should be held accountable for his crime. Even with her brother in jail, Sydney feels overshadowed by Peyton and decides to transfer to the public school where she can blend in and start over. The Chatham family enters Sydney’s life when she’s feeling particularly alienated by both her private school friends and family. When she wanders into their pizzeria, Sydney is immediately drawn to this tight knit working class family. (This is where the pizza and dum dums come in.) They welcome her unconditionally into their flurry of activities. The relationships Sydney develops with the various Chatham family members help her foster a deeper understanding of herself and her own family. The characters in this story are very real and recognizable. Layla Chatham is fun loving, but has a bad habit of falling for the wrong guy. Her brother, Mac use to be overweight and struggles at eating healthy while working at the pizzeria. I appreciated the characterization of the parents as more than one dimensional bad guys; they have their flaws but their intentions are good. Dessen does a great job of showing Sydney’s growth in understanding and appreciating other people’s perspective. I think there’s enough here for guys to relate to and this story will appeal well beyond Dessen’s regular fan base. But I would be remiss if I didn’t warn you: Reading this book may cause a craving for pizza and French fries. The author admitted she must have been hungry while writing this book. 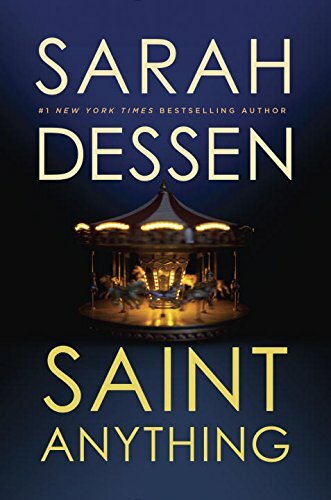 Sarah Dessen was gracious enough to give us a signed copy of Saint Anything and we’d like to offer it to one of our Books in Bloom readers. If you’d like to enter the drawing for this signed copy, leave a comment on this post with an answer to the question below. What is you favorite Sarah Dessen book, and why? I loved The Truth About Forever. I thought it was a great story about overcoming obstacles and learning to take what life gives you. I really liked Along For the Ride because Auden grows so much over the summer. And Eli was dreamy. I have not yet had the pleasure of reading one of Sarah Dessen’s books; I am new to the YA thing! What better way to start than with her newest one? It sounds wonderful! I cannot pick a favorite Sarah Dessen book. I have read all of her books and loved each one for many different reasons. My favorite Sara Dessen book is “The truth about forever”! It’s the first one I read by her and it helped me during a tough time in which I needed some sunshine in my life! Thank you or honoring teachers. I used to lose myself completely in Sara Dessen’s books. As a teenager, I felt like my thoughts were best expressed and understood in the words of her books. 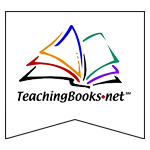 Now as a teacher of teenagers, I love being able to recommend my favorite books to others. I would love to have the chance to add this to my library! I have not had the opportunity to read any of Sarah Dressen’s books, but am very interested. She’s a wonderful ya contemporary author, like this review suggests! I know that her more popular ones is The Truth About Forever and Just Listen. Do give those a try as well! Just Listen. I think I could identify with Annabel Green in many ways. I feel that the book was written for me.